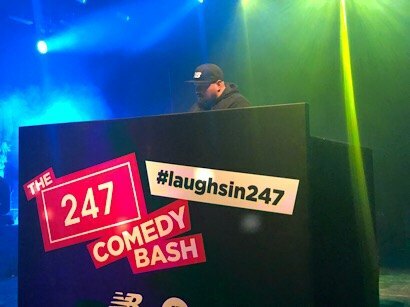 Last week, New Balance showed us how to have #laughsin247. 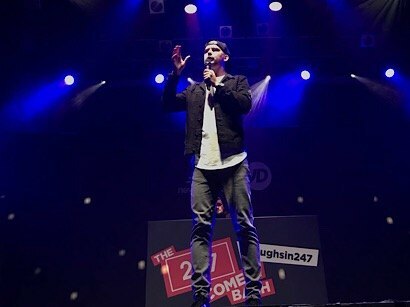 With the launch of the new 247 silhouette, JD teamed up with New Balance to give our guests a night of laughter, music and a hella’ good time! Hosted by Sideman, it was a quality night with stand-up comedy and non-stop jokes from Kojo Anim, Smash Entertainz, Kevin J and Judi Love. Not to forget, the audience was blessed with hours of hits brought to the dance floor by non-other than BBC Radio 1 Extra’s DJ: Charlie Sloth! Smash kicked off the night with some vocal activity to get the crowd cracking up. We can promise you it was nothing short of laugh attack! Getting the audience to stomp their feet with one finger in the air, making them clap with two and shout ‘woo’ with three. No awkward silences here. Judi made us forget about life outside of KOKO with her motto ‘laughter is healing’. 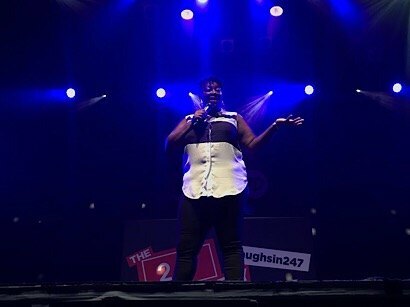 Cracking painfully relatable jokes and laughing off all sorts of situations, she showed us some real gal power on the stage! 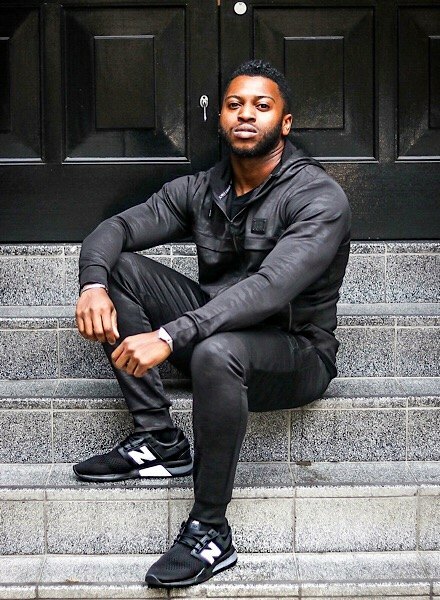 Kevin J followed, feeling right at home at the heart of Camden having grown up in London. The man knows how to make a crowd coming from different ends meet just by the power of laughter, speaking of personal experiences growing up in the big city. 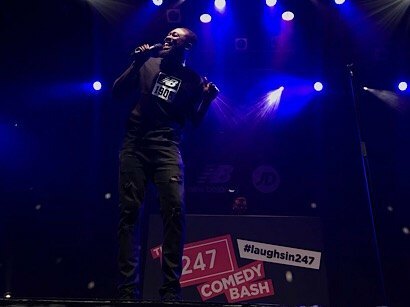 Kojo was the headliner for the event and we’re telling you, he delivered pure comedy! There wasn’t a moment where the crowd wasn’t laughing or catching their breath. A man who can make jokes about his little one really captures our hearts. Dropping a mix of old and new, DJ Charlie Sloth showed us how to live the night on the dancefloor. Bass drops, sing-alongs and most importantly bangers were played during his set, which got some of the people in the crowd grooving. Sloth was the perfect act to get the crowd pumped for the after party! Not just done yet! 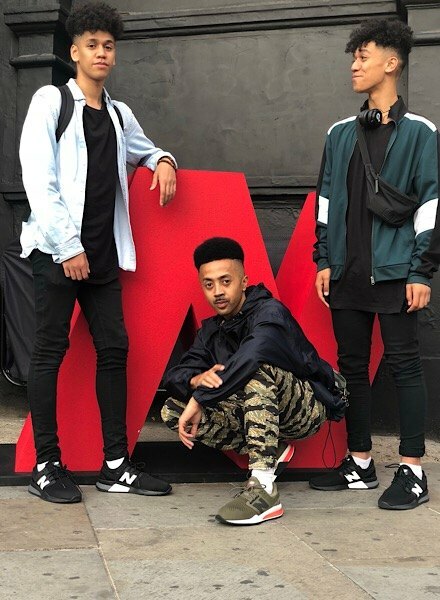 Our exclusive JD ambassadors (@lifeofshameer, @shaquillerayes,@joepricee and @ishanlad) joined us on the night to rock the 247 trainers and get the crowd dance-ready. 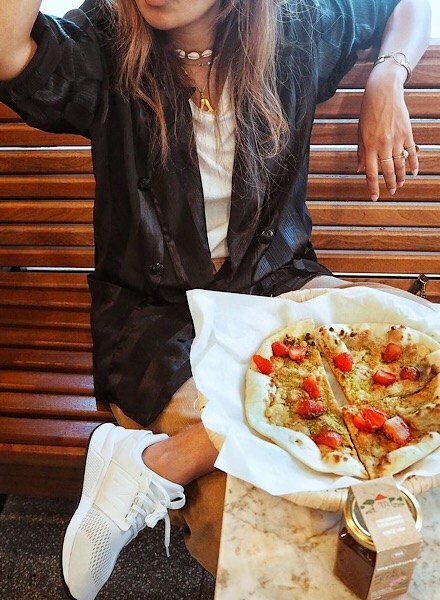 With the freshest ‘fits to accompany them to the event, they were definitely style icons. 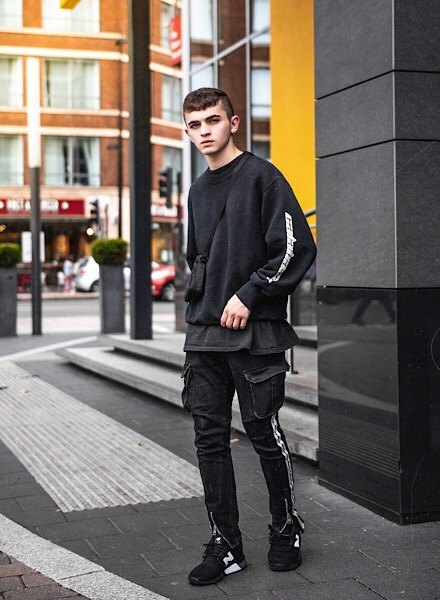 If you still needin’ more style inspiration, check out how the rest of our influencers styled their New Balance’s. 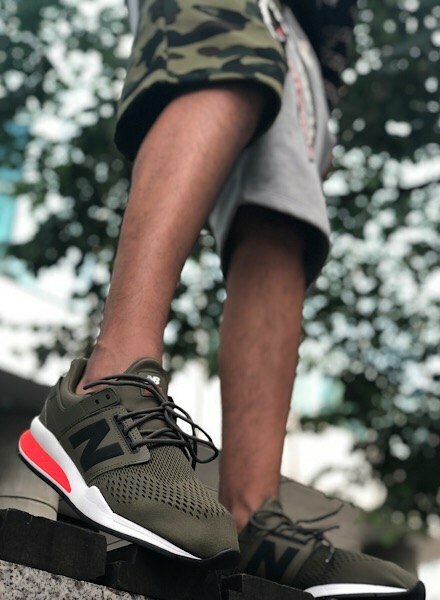 Don’t forget to cop your pairs of New Balance 247!